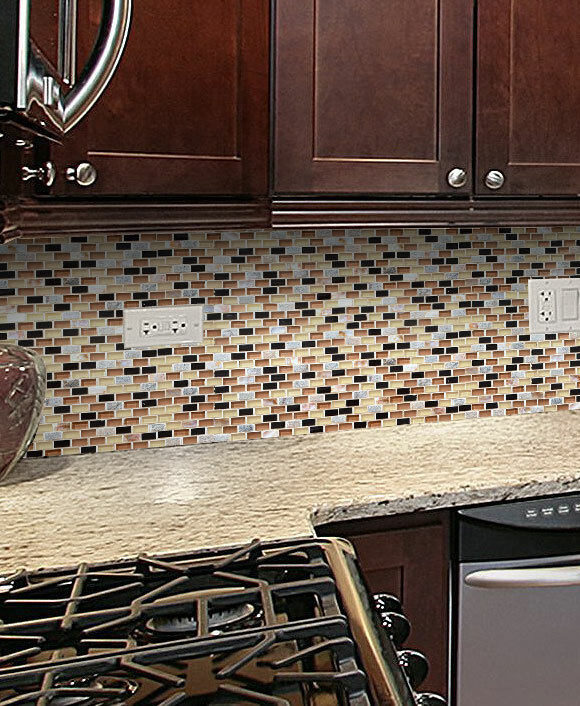 Bring the earthy tones of nature directly into your home with all the beautiful components of this sophisticated brown and gray glass, shell, and slate backsplash tile. You’ll fall in love with the well-honed slate, iridescent shell, and matte glass pieces for a contemporary texture. The sandy beiges juxtapose the deep black slate and lighter grays of glass for a sophisticated and bold color palette.